Remember the robots that you saw in sci-fi movies like Transformers and Star Wars? What would be your reaction if I tell you that you might see them walking on the roads or working at your office? Surprised? Well, welcome to the world of Artificial Intelligence! Artificial Intelligence, abbreviated as AI, is an advanced technology in the field of computer science that is used to develop intelligent machines that behave and act like humans. The term ‘Artificial Intelligence’ was coined by Sir John McCarthy in 1956. Since then, AI has revolutionized our day-to-day life through its applications. Embedding AI in machines have made them smart and our lives smarter. With the invention of new technology, several questions start arising in the minds of people and among them, the most common questions are- “What is the need for Artificial Intelligence?” What are the benefits of Artificial Intelligence?? How Artificial Intelligence will change the world?” This blog highlights the need, advantages, and future perspectives of Artificial Intelligence. Suppose, you wake up in the morning and a robot presents you a cup of coffee and draws the curtains for you. Sounds amazing, isn’t it? Well, this is the doing of Artificial Intelligence. AI, on one hand, is ready to simplify our lives, but on the other, it is ready to replace humans by making machines more intelligent. Error-Less Work– Artificial intelligence is used to increase accuracy in work. Through machine learning, the risk of error is reduced. Compared to humans, machines exhibiting AI are more accurate and take less time in concluding the result. Digital Assistant– Hey! Siri, play me a song. Hey! Siri, read out the news for me. We all are familiar with Siri and know its importance in our daily life. Siri is a digital assistant that is powered by Artificial Intelligence. Thus, Artificial Intelligence is used to design digital assistants that have simplified our everyday life. We all know that the behavior of humans reflects in their work, so the digital assistants being isolated from emotional quotient can work effectively. They can also perform miscellaneous tasks in real time like playing a song, making a call or reading your emails. Time saver– Programmable machines are efficient and quick in doing work. They can perform a task in a fraction of seconds. Implementation of artificial intelligence saves time. Reading so far, you must have understood the importance of AI. Now, let us see the areas where artificial intelligence finds its applications. Chatbots– They are used to deal with the queries of the customers and help them with their problems. These chatbots have proved cost-effective for the banks and have reduced human interventions. These chatbots recognize the texts and emotions of the customers and provide them with the most appropriate solution to their query. With time, these chatbots learn about the behavior of the customers which help them adapt to their mood and emotions. Robo-Advisors– Depending upon the transaction history of a customer, these AI-powered robo-advisors provide financial advice and suggestions to the customers. They are capable of tracking the financial details of an individual and give financial advice to him. Document Parser– These devices can read, interpret, and convert a printed document into a digital format. This can save a lot of time in the long run. Humans, on the other hand, prove to be less efficient in reading long documents correctly along with paying attention to each of the key points. Fraud Detection– AI technology can also be used to detect fraud by tracking financial data patterns. It can also be used to avoid transaction to fraudulent accounts. Customer Recommendations– It is one of the key contributions of AI in the financial sector. By analyzing the user’s banking history and searches, AI provides them with recommendations of their interest. In recent times, many banks have witnessed tremendous revenue growth due to this concept. Market Analysis Trading– The deployment of Artificial Intelligence in the banking sector has helped banks in analyzing the variation in the financial market. Doing so has improved their trading and helps them with safe market investments. So, next time when a robot greets you in a bank, don’t get shocked! AI is all set to dominate the medical sector as well. Apart from being used in a number of health-related mobile applications, AI is also used to design virtual health care assistants that can be used for research and clinical trials. The technology is also used to design ‘Health Bots’ that are capable of providing 24*7 health assistance to the patients. Health tracking mobile applications available on the internet can be used to track current body dynamics. These mobile apps powered by Artificial Intelligence keep you up-to-date about your health. Accurate Diagnosis– Systems embedded with AI can diagnose a patient accurately and quickly. They can also provide advice on whether you need to visit a doctor or can be cured by home treatments. In 2016, Watson Computer developed by IBM was used to diagnose a Japanese patient suffering from Leukemia. The computer used AI techniques to analyze 20 million oncology records for recognizing the disease. Therapeutic Robots– Meet your personal therapist- PARO. It is an interactive robot programmed to provide therapies to the patients in hospitals where real pets are not allowed. Through cuddling and caring, these robotic pets can reduce the stress and anxiety among the patients. Virtual Reality– Virtual artificial intelligence when developed will change the complete scenario of healthcare science. Through this technology, doctors and patients will be able to interact virtually as if they are actually present in real time. AI has changed the face of the commercial industry. Many big companies are using AI in the production department. 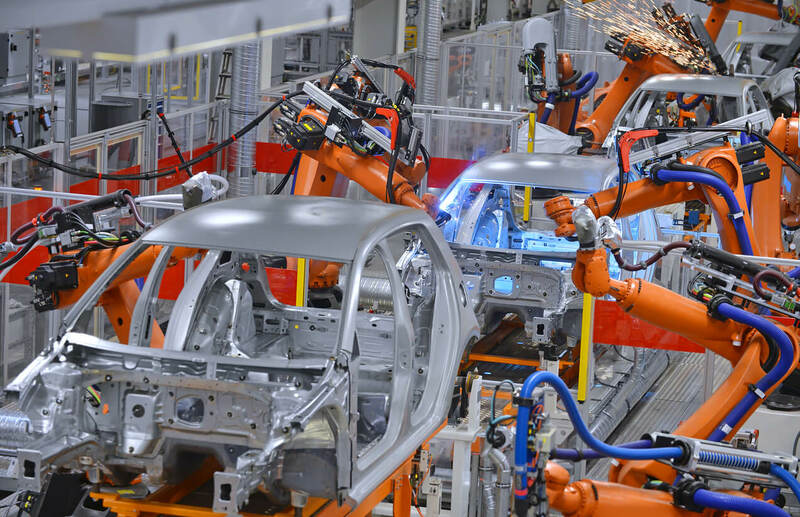 Robots designed using Artificial Intelligence have saved humans from the heavy workload. They are used to give different shapes to the objects, displacing heavy objects from one place to another, and much more. Robots having greater efficiency than humans can perform a repetitive task without losing concentration and can also perform some of the jobs that are considered degrading by humans. AI is also used in the management department. It is used to keep a record of the employees in the organization. Moreover, using analytical and critical thinking, they can also be used to take spontaneous instructions. Self-driving cars are one of the recent examples demonstrating the usage of AI. The automated cars will be able to see, take quick decisions, and navigate on the roads. An automatic gearbox is a live example that uses AI technology to shift gears automatically. The technology is also used for the management of traffic flow using sensors that can detect and predict accidents and traffic jams; thus, increasing the pedestrian’s safety. Moreover, cars manufactured by Volvo has in-built sensors that can detect if the driver is drowsy or not. Have a safe and happy driving! Gone are the days when ‘Super Mario’ was the most popular game. 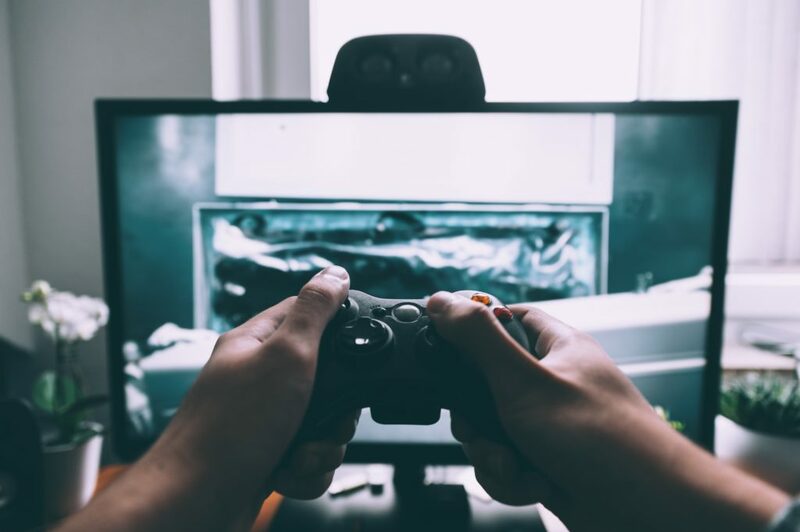 AI has brought a revolution in the field of gaming. Gaming bots have found their place in games that help you play against a robot. Don’t have anyone who can play a computer game with you? Don’t worry, AI gaming robots are there to give you a tough competition. Combat Platforms– AI equipped weapons and systems are used by different defense forces around the globe. Be it for the navy, air force or army, military scientists are widely using this technology to produce advanced weapon system. Development of autonomous and high-speed weapons is one of the greatest achievements of Artificial Intelligence in the military. The AI-driven military system requires less maintenance and has reduced human dependency. Cybersecurity– Protecting sensitive data is a major concern for military operations, and artificial intelligence has proved to be a life savior. A military system embedded with AI can protect the data and programs efficiently, reducing the risk of cyber attacks. Moreover, AI technology can track the pattern of cyber attack and produce counter-attacking tools to deal with it. Military Transportation– AI is all set to play a significant role in the development of logistics and transportation. Transportation of ammunition, military troops, etc., are some of the military exercises before a military operation. Military vehicles exhibiting AI can sense any suspicious activities and take preventive measures for the same. Recognition of Targets– Usage of AI has improved the accuracy of target recognition. AI techniques are used to track rival behavior, collect weather information, suggest vulnerability before military operations. This technology can also be used to detect the enemies by using SPR (Synthetic Aperture Radar) images. Battleground Healthcare– AI can be implemented with Robot Surgical Systems (RSS) and Robot Ground Platform (RGP) to monitor a soldier’s health and provide required healthcare during a war zone. Data Processing– Artificial Intelligence can be used to collect valuable information from large databases. This technology can also be used by military intelligence to gather important information regarding the enemies and plan a strategy accordingly. With the help of Artificial Intelligence, auditing methods, such as reviewing bank cheque, sales invoice, and deposit slip can be automated. AI can reduce the turnaround time of paper processing. Also, clerical errors can be reduced through AI. As an auditor has to deal with the examination of financial records of the company, implementing AI can be used to detect frauds and monitor all the previous and future financial transaction effectively. AI is currently a hot topic in the accounting industry. Big companies have started looking for options other than humans. We all know that AI can process large databases at a lightning speed. Hence, AI is all ready to take over the accounting market as well. The AI-powered systems can easily draw conclusions by analyzing the data patterns. Marketing advertisements are going to witness an incredible change in future- All thanks to Artificial Intelligence. AI has developed new marketing trend known as ‘Programmatic Advertisement.’ AI techniques are used to monitor the interests of the users visiting a website or mobile app. Gathering such information helps big companies in recognizing their target audience. Delivering their advertisement to the targeting audience ultimately helps in expanding their business. To screen the resumes and categorizing them under different job profiles. A robot can be used to automate repetitive communication tasks during interviews. Amazed by the usage of Artificial Intelligence in different sectors? Well, that’s not all. Here are some of the best AI gadgets that you can own for living a smarter life. It has a pair of eyes that can recognize your current mood. It can also read printed media. So, you can ask your friend Tapia to read a comic book for you! Capable of playing music and displaying videos and photos. It can act like your personal assistant, it can make calls, provide weather reports, drafts emails, and make your schedule. It can be your personal doctor by analyzing your health. Communicate with you continuously while using sharp humor. Now, have a new friend by bringing home this device! Chris Digital: Your Personal Co-Driver– According to a report, the main reason behind 40% of road accidents is the usage of mobile phones while driving. Artificial Intelligence is all set to reduce these numbers by providing an innovative device- Chris Digital. 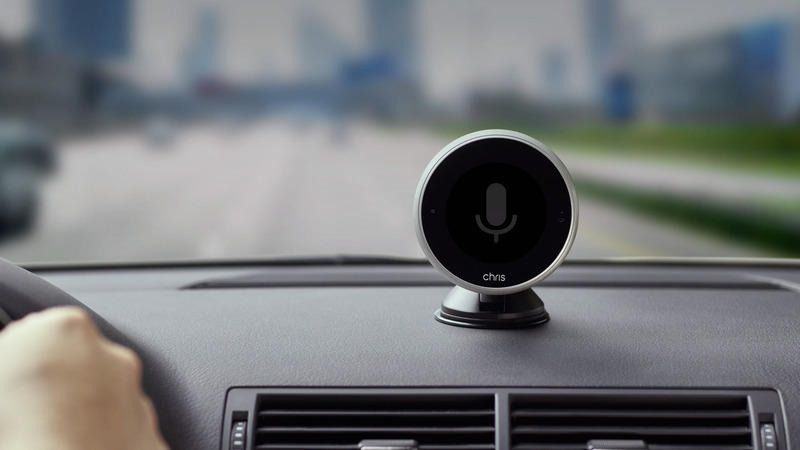 It is a digital assistant developed for the drivers that help them connect with their digital life while driving. With an aim to provide a better and safer driving experience, it notifies you every time when you receive an email, SMS, or message on any of your social media accounts. This device can also be used to read out messages for you. So, install this plug and play device in your car for a smooth driving experience. Keeping your hands on the steering wheel and eyes on the road with Chris Digital installed in your car, you will never get distracted by your digital life. Don’t want to miss an important notification while driving? Order Chris Digital now! Self-Charging: You don’t have to worry about charging the device, as the device itself is smart enough to charge itself. If your HomBot battery is drained, then the device will mark the stopping point and move to the charging point. After complete charging, the device will return back to the marked point and start the process of cleaning again. It comes with in-built sensors that avoids the device to collide with the obstacles. It can clean as well as mop your floor. Save yourself from the cleaning process, order your digital homemaker now! Vi- Your Gym Trainer: Artificial Intelligence is all set to revolutionize the fitness industry as well through an innovative product named Vi. Need a gym buddy that can motivate and help you achieve your fitness goals? Vi is all you need. It is a Bluetooth device embedded into a bio-sensing earbud. The device guides you throughout your workout and motivates you to run faster through a human voice. It tracks your health habits & health records and prepares a workout plan for you. Vortex: Making Kids Smarter: This AI enabled robot is smart and responsive which is developed especially for the kids. 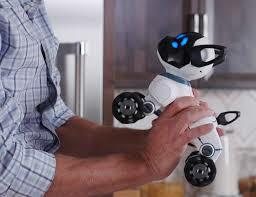 It is an interactive programmable robot that can play interactive games with the kids. The kids can control the movement of the robot by tapping on the Vortex app. Compatible with both i.OS and Android, the robot comes with some pre-programmed games. This innovative device can also be used to learn robotics. Want to make the learning experience fun for your kids? Surprise them with Vortex. CHipK9: A Robot Dog– Yes, you read that right. CHiPK9 is a robotic dog working on AI technology. Just like dogs, this robotic dog is also well-trained and affectionate. Wait, that’s not all. CHiPK9 is also playful and intelligent enough to recognize you. As soon as you wear a smart band, the dog will recognize you, follow you, even wait for you to come home. Through artificial intelligence, it can understand simple instructions, obey commands, and avoid any physical obstacles. Need a furry friend? CHiPK9 will be your perfect choice. Netatmo Welcome: Beware of Intruders– It is an indoor security camera that safeguards your home from intruders. But, there are a number of security cameras available in the market, so what makes this device stand out from the others? Did this thought irk in your mind? If yes, then here is the answer to your query. Netatmo Welcome notifies you when a stranger enters your home. 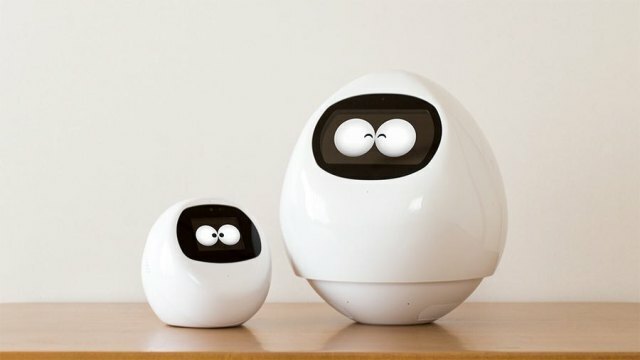 This device uses face recognition technology to remember the face of your family members. Thus, when a stranger enters your house, this device will send an alert on your smartphone. Also, it can assure you that your children have reached safely at home. Suppose, you are on a vacation and a suspicious person enters your house. After recognizing the face, the device will declare the person as unknown and will send a notification to you along with the photos and videos. Install this useful device and be secured! Nest Thermostat- Your Temperature Regulator: There is no doubt that Artificial Intelligence has made our home smart. Using this revolutionary device, you can set the temperature of your home with just one click. This device by using AI algorithms, study the heat pattern and provide favorable temperature to you and your family. Suppose, you are returning from a vacation in winters, you can simply tap the device’s mobile app, and the device will start adjusting the temperature according to the needs. Family Hub 3.0- A Talkative Fridge: No, it’s not a joke. Samsung has launched an innovative lineup of smart fridges under the name “Family Hub 3.0.” Designed using AI technology, this refrigerator can read recipes for you, remind you what to bring from the grocery store, and help you order groceries with just one click. The refrigerator has a display screen which can be used to mirror your Samsung TV. The device can play songs for you as well as help you see what’s inside the fridge without opening it. Bring home this device and make your kitchen the center of your home. Dr.A.I.- Your Personal Physician: Launched by HealthTap, this AI-powered mobile application provides you feedback about the health problems indicated by the user. The mobile application can also recommend and connect to a dedicated practitioner of HealthTap. Trained by doctors, this mobile application provides solutions to all your health-related queries. Artificial Intelligence is currently a hot topic in the market. Advancement in the field of artificial intelligence has already transformed our lives and is ready to surprise us in the future. Summary: Artificial Intelligence has made a great impact on our lives. AI is present everywhere; from Google Assistant on our smartphones to the recommendations of shows that we receive on our smart TV. This technology has become an integral part of our life and is ready to surprise us with more inventions. This blog sheds light on how artificial intelligence will change the world in the future. Mira Smith is associated with Global Assignment Help as an academic writer. She has helped many students by providing them with excellent assignment help. She has done his MS in Computer Science. Being a techno-geek, she loves reading technical magazines. During his leisure time, she loves watching sci-fi movies and listening to music.